We didnt have time in last week’s show to mention the Museum of Modern Art’s little cousin in Queens, the P.S. 1 Contemporary Arts Center. One of the most interesting art spaces in the entire city, P.S. 1 is MoMA’s hipper outlet, allowing a creative variety of exhibitions and even throwing in a dance party on the weekends during the summer. Its charm derives from the building’s former purpose as a public school. Alanna Heiss founded The Institute for Art and Urban Resources in 1971, an organization which forged into unusual and uncommon spaces for the purpose of art. Heiss developed spaces in Greenwich Village, Coney Island and the Clocktower Gallery (which P.S.1 still controls as a gallery today) in lower Manhattan. The abandoned 100-room school building known as P.S. 1 was actually Long Island City’s first but was closed in 1960 after attendence dwindled. In 1976 Heiss swiftly moved in and transformed the old classrooms — and even the roof and boiler room — into functional and intreguing spaces for new artists. 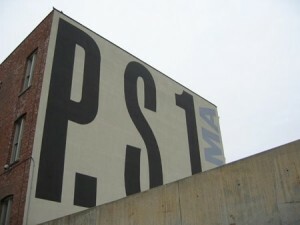 P.S.1 is the anchor of the neighborhood and often displays the most daring exhibitions in town. 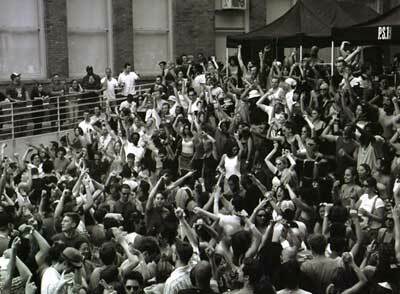 After a beautiful renovation in the late 90s, P.S.1 merged with MoMa in 2000, giving the big museum a legitimate and extraordinary outpost for edgier shows, and benefiting P.S.1 with higher profile and funding. 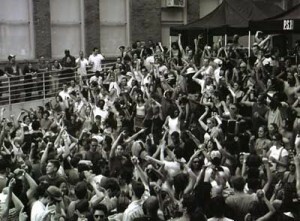 Personally I’m a fan of its Saturday summer series Warm Up, turning the gallery spaces into dance floors since 1997. Its new season should begin around July 5th, and frankly its not a summer in New York without one trip there. Coming up on February 17 — WACK! : Art and the Feminist Revolution, “the first comprehensive, historical exhibition to examine the international foundations and legacy of feminist art”, according to the website.